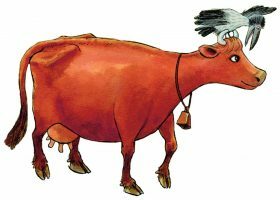 Mamma Moo and Crow was written and created by Jujja and Tomas Wieslander, illustrated by Sven Nordqvist. The unlikely team ofthe kind and thoughtful Mamma Moo and her self-centered, choleric friend Crow has gained global success through their series of picture books, translated into 30 languages. In 2016, the brand celebrates 25 years. Rights & Brands represents Mamma Moo and Crow merchandising rights on a worldwide basis. Top-listed at the Swedish libraries.